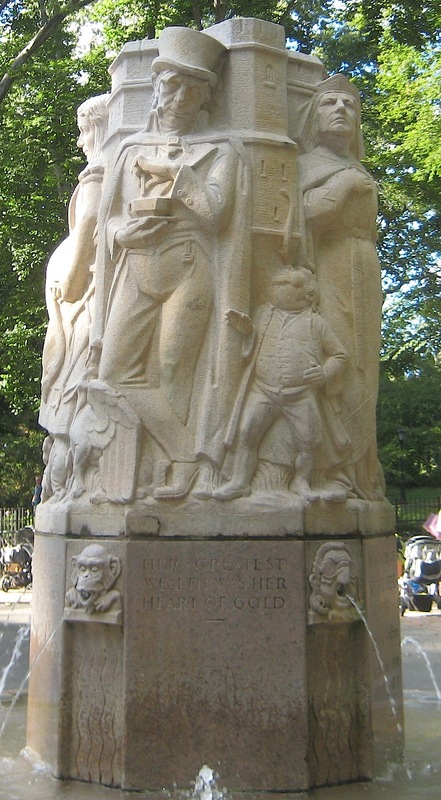 Part of the 1935 Heckscher Playground reconstruction project was the creation and placement of a statue commemorating Sophie Irene Loeb (1876-1926), social worker, journalist, and founder of the Child Welfare Board of New York City, who advocated for the playground, and portrays Alice in Wonderland characters. 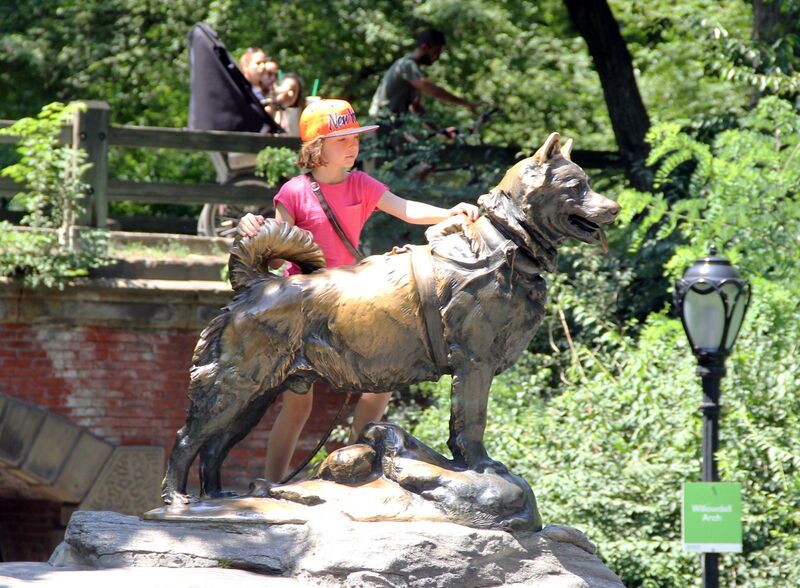 The sculptor was Frederick George Richard Roth (1872-1944), who worked for the WPA as head sculptor at the Parks Department, and who also created several other sculptures in Central Park including the Dancing Goat, the Dancing Bear, and Mother Goose, plus the animal friezes at the Central Park Zoo. 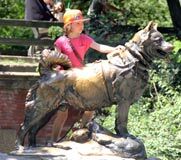 He also created Balto, shown at left, but that was in 1925, before the New Deal. 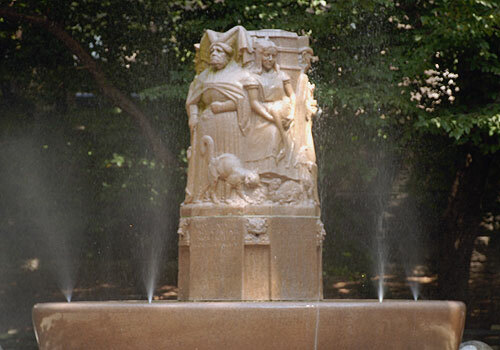 The Loeb Memorial fountain has since been moved to Levin Playground in Central Park, near 77th Street and Fifth Avenue. Central Park, Loeb Memorial Fountain: History, at the NYC Parks Department website. Federal Writers' Project, The WPA Guide to New York City, Random House (1939), p.351.